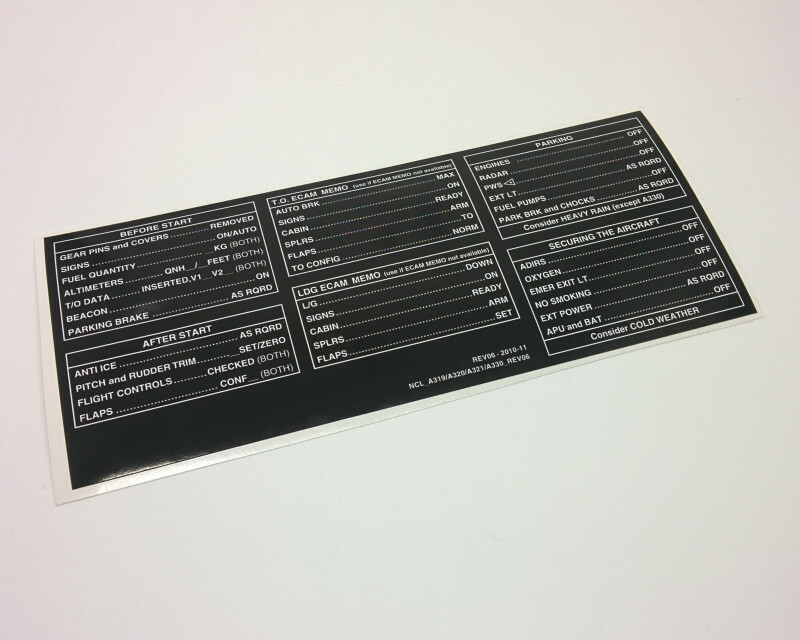 Checklist as decal, vinyl film, white on black, ca. 225 x 95 mm. Customized decals possible (e.g. logo in the bottom left corner), please contact us for a quote. Ready to ship in about one workday.